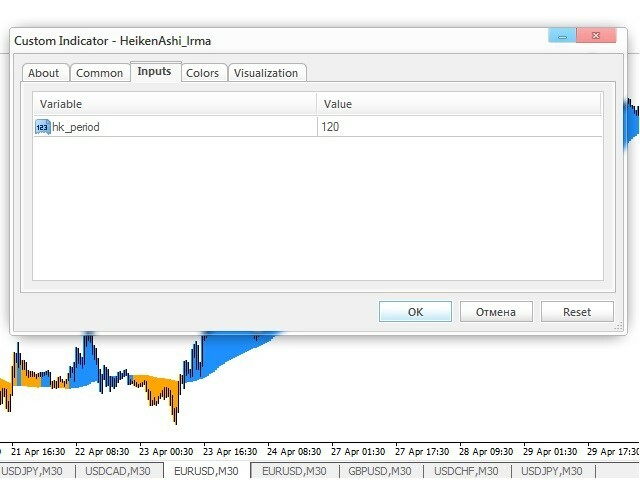 HeikenLRmaMT4 is also a modification of the Heiken Ashi indicator. Its main aim (which is also the aim of the original indicator) is to determine the current trend. One would think why have we developed another modification? There are plenty of them, so we can lose count. But there is one thing which makes this modification a special one. You can often see a price rising above or falling below a moving average. And every time you ask yourself whether this is a change of trend. "Buy if the price is above the moving average. 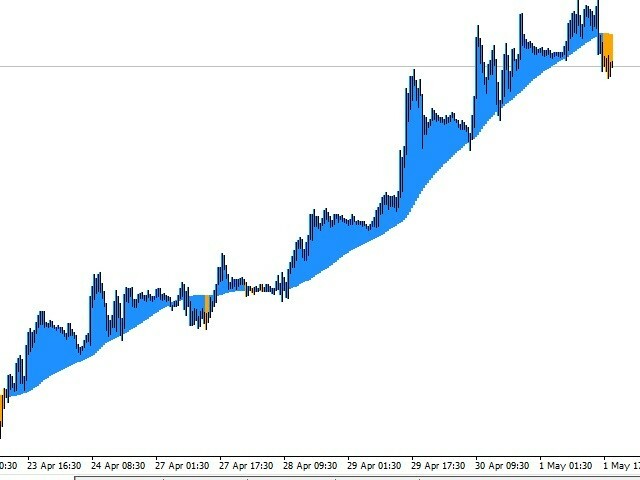 Sell if it is below the MA" — this is one of conditions of many strategies. But the reality is that buying is not always feasible when the price is above the MA. The same situation is with selling. 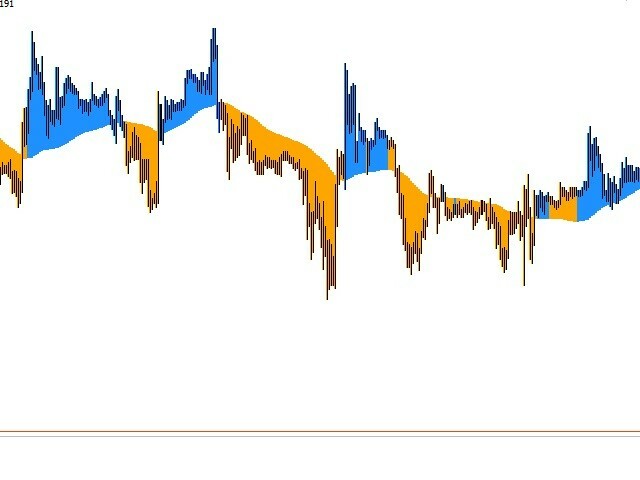 So the HeikenLRmaMT4 indicator helps to avoid such nuances especially during trend movements. But it does not mean that it is absolutely free from such disadvantage.